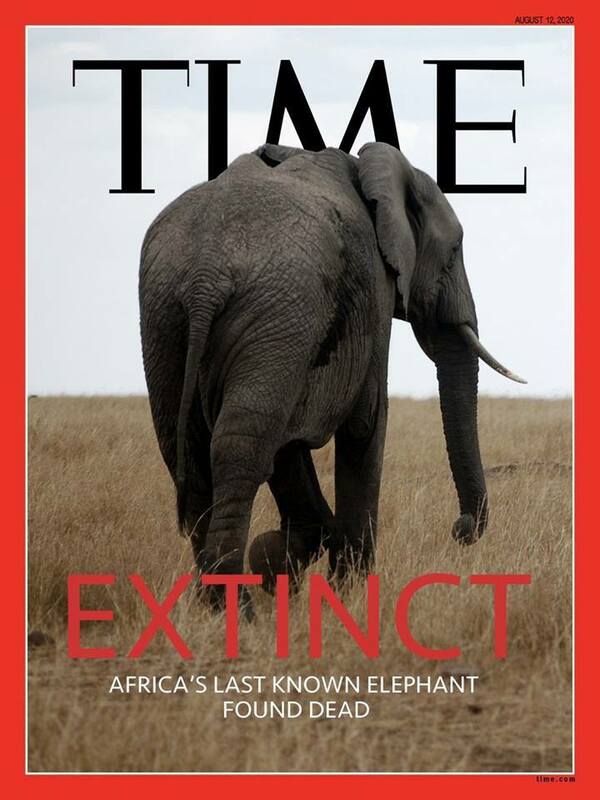 According to a new report, #elephant poaching levels in Africa continue to outpace elephant birth rates. 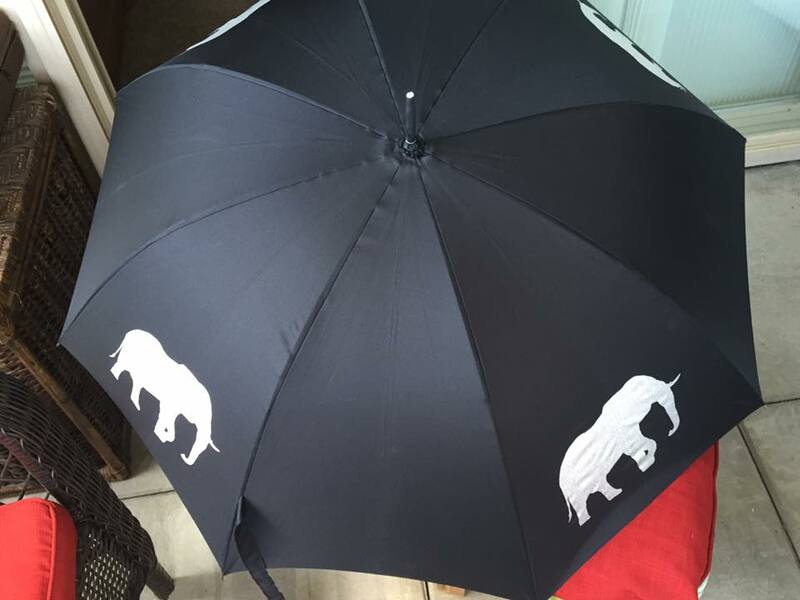 Elephants have strong family bonds and share with us many emotions, from grief to compassion and joy. 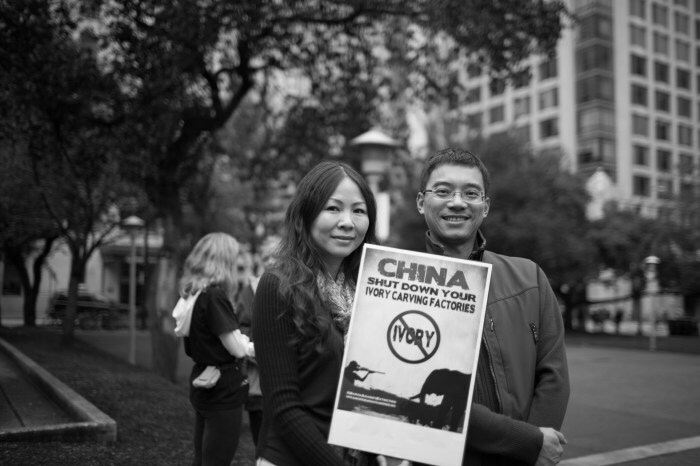 We’re proud to collaborate with actress Li Bingbing to bring awareness to these profound similarities. 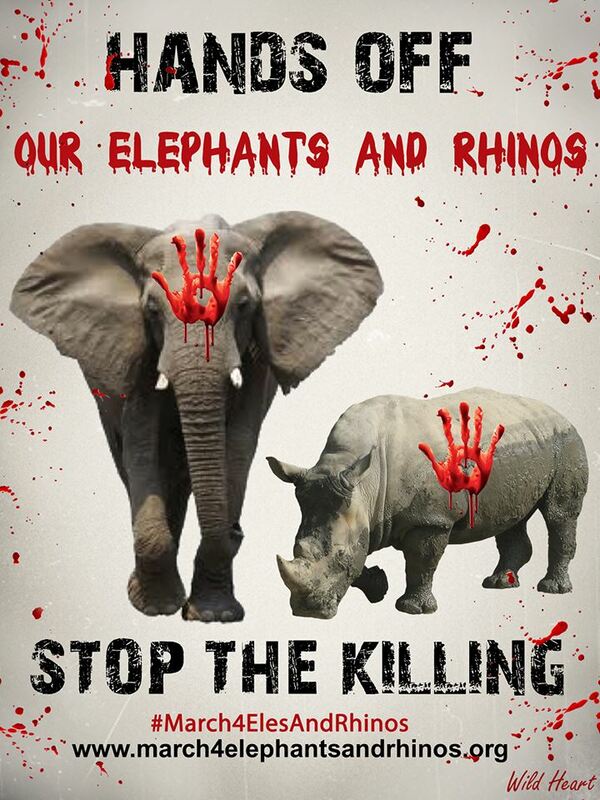 Li Bingbing PSA – ‘Hunted’ from WildAid on Vimeo. 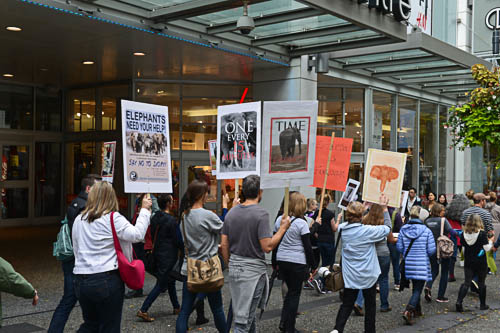 ACTION FOR ELEPHANTS – Organize a protest, join a Mass Mail Campaign – you can help! 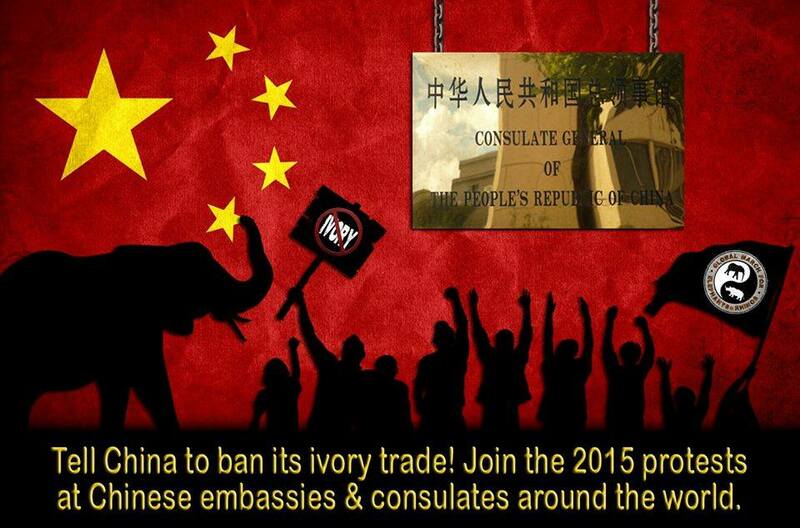 In the wake of the last few Chinese horror stories including the big Chinese buying trip to Tanzania and the abduction of 35 baby elephants (one of whom has already died) the grassroots advocacy movement “Global March for Elephants and Rhinos” is asking cities to organize protests all over the world at Chinese Consulates on January 24th OR if you can’t participate or organize a protest – to join in a mail campaign. Please follow the details of these campaigns here and join the mail campaign here. CTION! 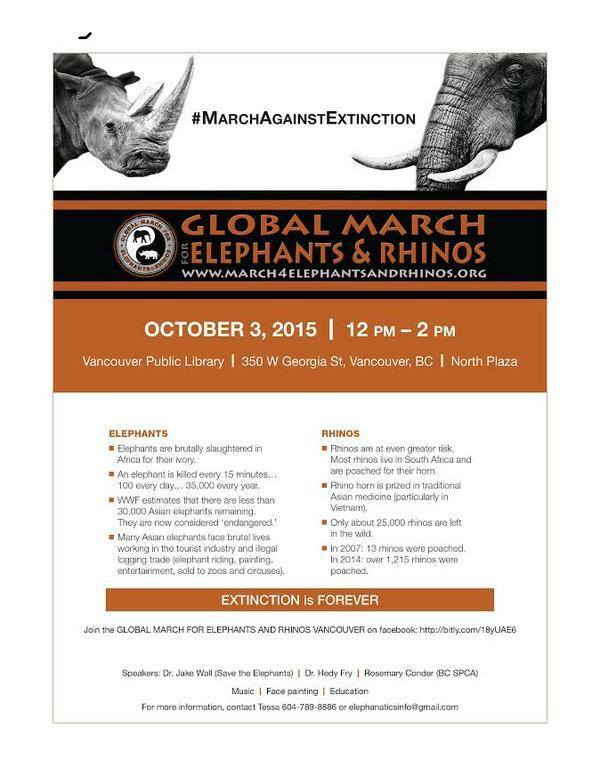 You MARCHED with #GMFER October 4th, JOIN US in early 2015 as we organize peaceful PROTESTS at Chinese embassies and consulates from January – June, and join our MAIL STORM to write to stop the poaching and ivory trade! 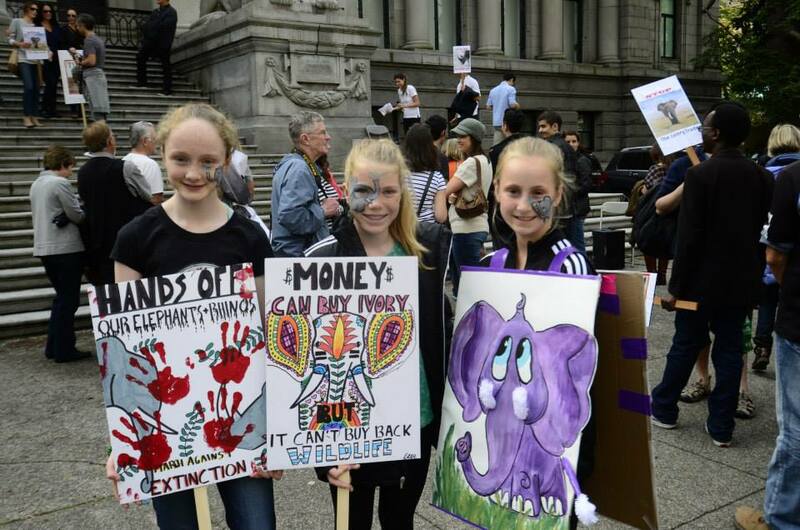 You’re needed to give the elephants and rhinos your presence and your voice! More protests coming, including San Francisco and Washington, DC! 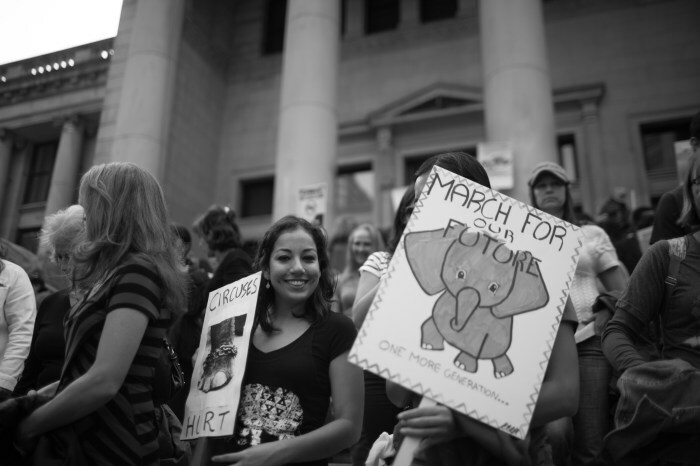 Want to ORGANIZE a protest? 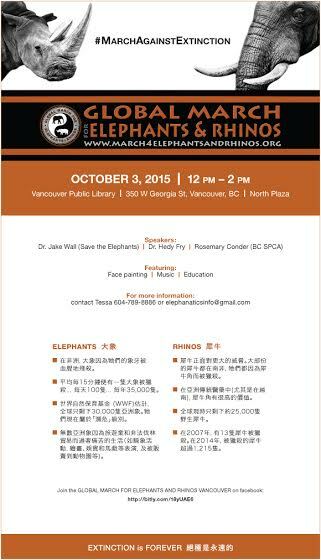 PM or email us at: march4elesandrhinos@gmail.com. 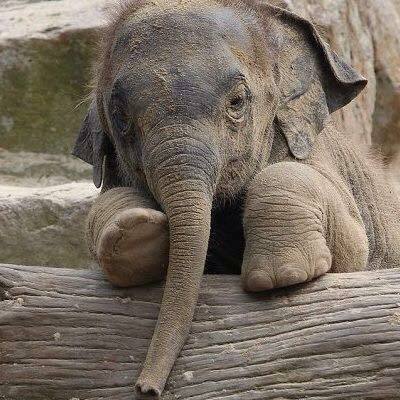 China must ban all domestic ivory trade if the elephant is to survive ~ help make it happen in 2015! Orphaned baby elephants are often the tragic by-product of the current elephant (and many other kinds of wildlife) poaching crisis taking place in Africa today or victims of human/wildlife conflict.The David Sheldrick Wildlife Trust based in Kenya has for the last 40 years rescued these babies and through love and dedication figured out how to raise them so they can be re-released into the wild to live the lives they are meant to live. Without their knowledge and expertise these orphans have no chance at life. 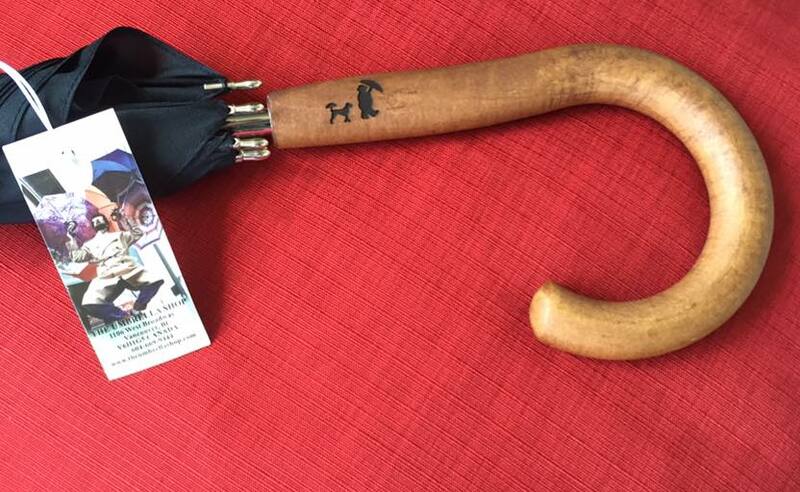 For a minimum of $50 you can foster an orphan for yourself or as a gift for someone else. This year we fostered many orphans as gifts to friends and family and have been recipients as well. Supporting the organization is one thing but spreading the word and telling the stories about these animals lives, their incredible emotional sophistication is essential to their survival as a species. 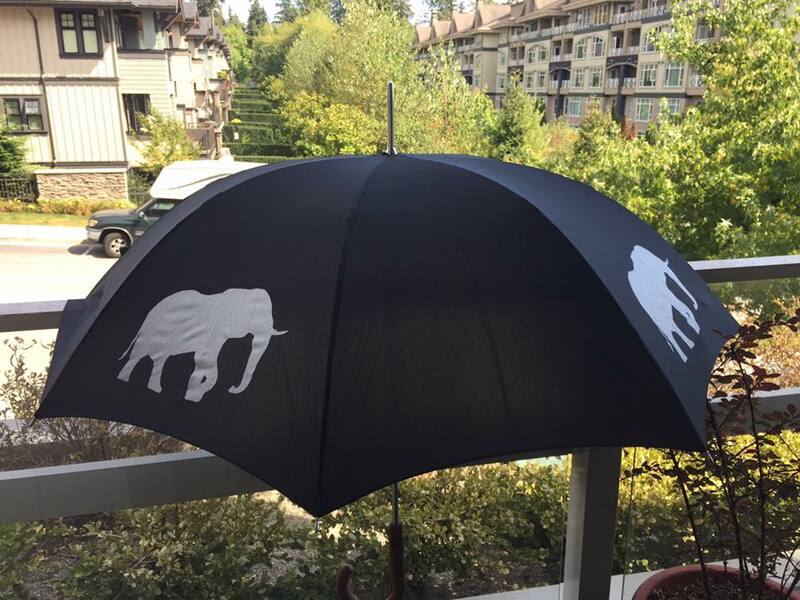 They are like us but elephants. The DSWT makes it easy to tell their stories because they share them via email and on social media ( please ‘like’ them on facebook). Every month I get an update on what is happening at the nursery and throughout the organization (vet services, anti-poaching) and this month I received an additional update on my new baby Ashaka. I am telling you this story so you can share it with others. 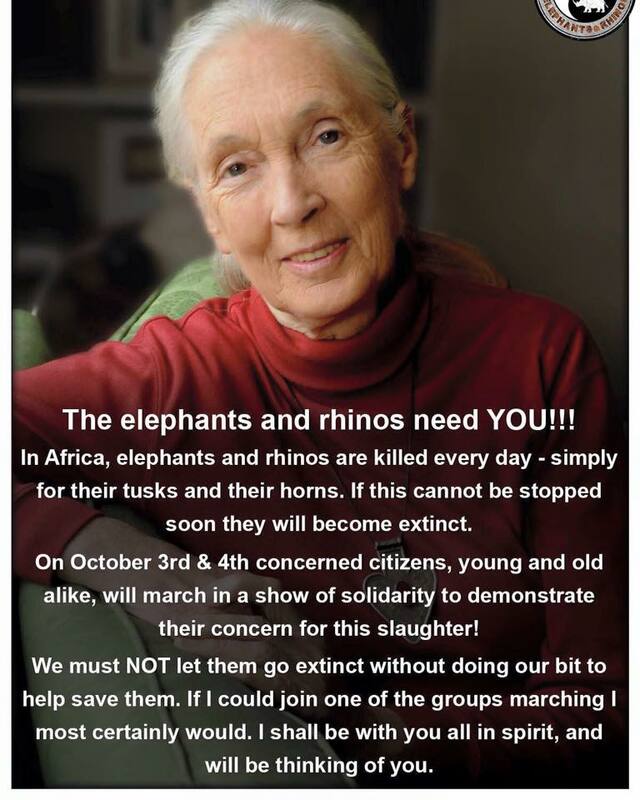 If we keep sharing then the world will know what is happening to these incredible animals and perhaps together we can save them and others. You can go to the mall and buy a gift or you can make a difference. Ashaka and Kamok are two little girls who have grown up in the Nursery together throughout this year and have formed a very special bond in that time. Ashaka came while teething, which is never easy, but thankfully we got through that precarious period and she is now growing up, but not as fast as some. Although older than Kauro she has definitely been overtaken in height. 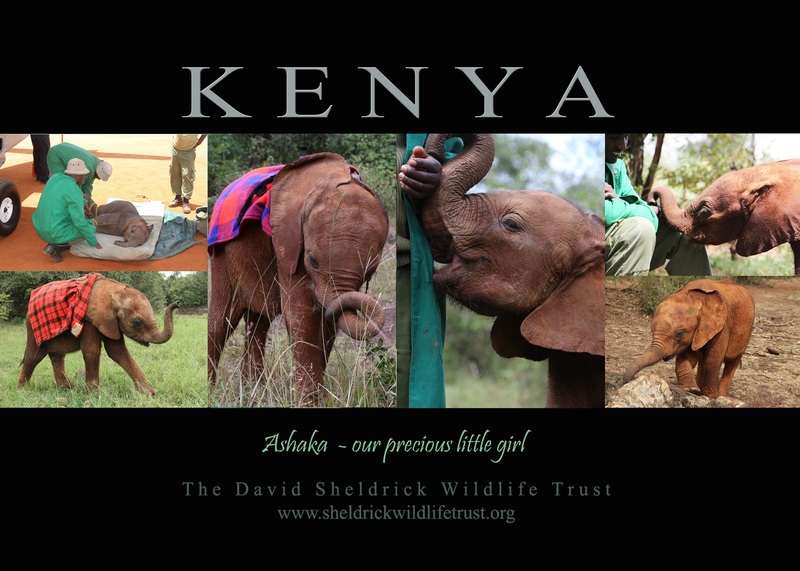 She likes to be with the young orphans rather than the bigger ones as she is shy little girl in their company and prefers the company of the Keepers and the babies. She is always glued to the sides of her friends Kamok, and Mbegu, along with Kauro. She is selective with her Keepers too, preferring some more than others. She prefers company all of the time, so is a demanding little elephant, and if her Keeper leaves her stable at night, even for a short moment, she complains instantly. Ashaka has a naughty streak which is prompted by jealously mostly, and can be found bullying some of the other orphans – she does not like to share her Keepers. Thank you so much for supporting our little Ashaka who was fortunate to be rescued from the mud and saved long after her herd had gone. Raising Ashaka from infancy to this point, a year on, has been a very satisfying journey made possible thanks to the support of her foster parents. 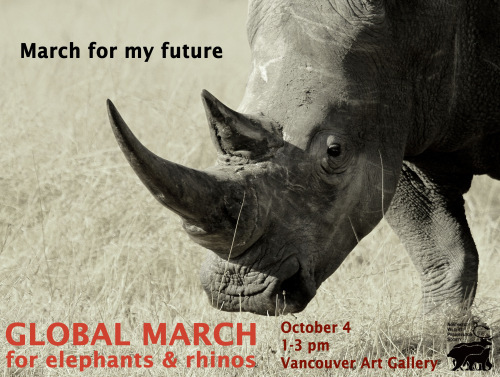 On October 4th 2014 Vancouver will take part in the Global March for Elephants and Rhinos. 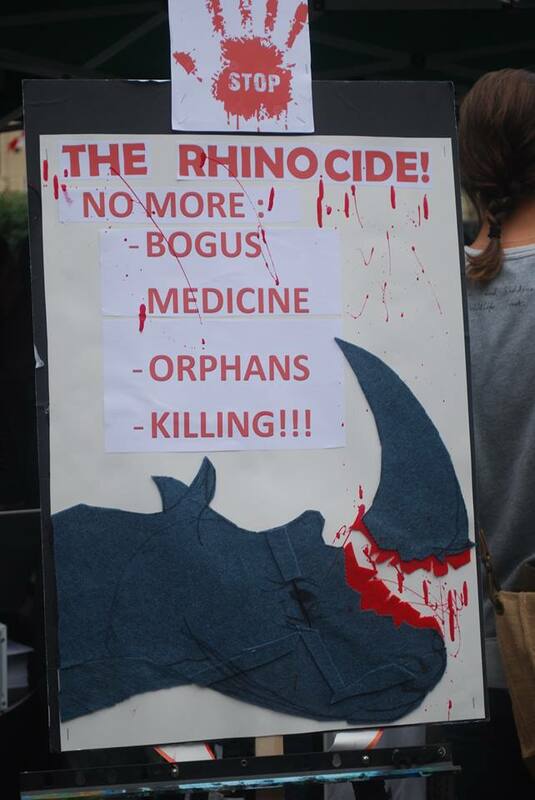 130 cities around the world are marching in the biggest demonstration ever to create awareness of the plight of these two species and to demand that governments end the blood ivory and rhino horn trade. This presentation will be shown at the demonstration. Every person who becomes aware and knows about the struggle for survival these species face takes us one step closer to winning the war against extinction. If you can share this with one person you will have helped. Thank you.